or service work like Habitat for Humanity, scouts, food pantries, etc. congregation and/or a service group where the applicant is active. A resume of accomplishments and an essay are required similar to what is being submitted to colleges. 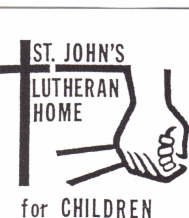 The essay should contain the reason as to why they are applying for the scholarship..
Edward Kinkel was the President of the St. John’s Lutheran Home for Children Board for 6 years. He was a strong advocate for youth programming, and was heavily involved in youth work and related organizations in Western New York for many years. The organizations include Lake Chautauqua Lutheran Center and camp, Lutheran Charities. The Lutheran Foundation and youth work at St. Mark’s Lutheran Church and the Niagara Frontier Conference Youth Organization, now known as Organic Youth.